INVISALIGN® is a sophisticated system that straightens individuals teeth using a series of custom made, clear aligners. These aligners fit perfectly fit over the teeth and gradually shift them into proper alignment. These aligners are clear and made of smooth plastic material and are virtually invisible from a distance when smiling. They are the trusted alternative to traditional orthodontics and are the chosen alternative for those that don’t want to wear traditional braces. Dr. Pinkhasova is a qualified Invisalign® dentist in rego park 11374, is adept at performing the fitting of these orthodontic appliances and has performed them for many of her patients with great results. These will give you a great smile, straightening your teeth in less time and about the same cost as traditional braces. WILL INVISALIGN® HINDER MY ABILITY TO TALK OR EAT? No. You will feel a difference when wearing them and your mouth will gradually adjust as you get used to wearing them. Invisalign® aligners are made of clear, smooth plastic that are virtually undetectable when being worn. They are also removable, so you can brush, floss, eat, and drink as you normally would. WHO MAY THEY BE SUITABLE FOR? Invisalign® is perfect for anyone who has crooked, crowded or misaligned teeth or even a gap between the two front teeth. It is a proven and effective method that is used everyday by dentist throughout the USA providing patients with noticeably straight smiles. The Invisalign® system predicts your teeth’s movement using advanced computer imaging technology. Once your teeth straightening course has been determined using this technology, a series of custom-fit, individually made aligners is precisely manufactured to move your teeth through each stage of your Invisalign® treatment. 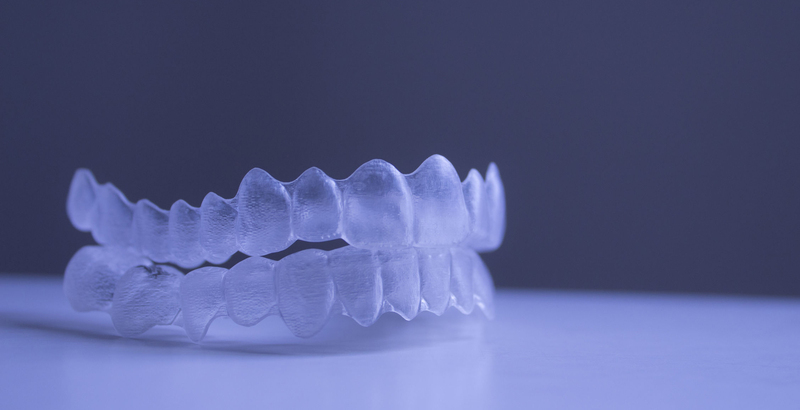 As your teeth straighten, new Invisalign® aligners will be given to you. On average, an Invisalign® appointment takes between 15 and 30 minutes every 4 weeks. WHAT ARE THE MOST OBVIOUS BENEFITS OF INVISALIGN®? The most obvious benefits are the fact that eventually when your teeth do become properly aligned, this in itself will result in fewer dental problems throughout your lifetime. Your teeth will function exactly as they were designed to function. This will in turn reduce stress on them and wear and tear. This prevents dental problems like chipping and breaking of teeth, recession of the gum line, gingivitis and a number of other dental problems. It will increase your overall health and well being by reducing dental problems and the likelihood of ailments such as heart disease, stroke pneumonia and diabetes. All of these are great reasons to get Invisalign® and in no time you will be on your way to a perfect smile. To find out if you are a candidate for Invisalign®, simply schedule an appointment for consultation on our website or by calling us directly at (718)897-3434.